It’s been a while since I’ve listened to an instalment of Doctor Who: The Early Adventures, but it’s on its fifth series now, so someone must be. This series pulled me back in with the promise of a continuous “missing season” from 1965, four back-to-back stories starring Peter Purves and Maureen O’Brien as Steven and Vicki (alongside Purves’s William Hartnell impression, of course). This is one of Doctor Who’s most charming TARDIS teams, and I found myself unable to resist. The opening story, The Dalek Occupation of Winter by Big Finish newcomer David K. Barnes, validates my decision. In a way, this story is nothing groundbreaking. But in another, it’s a solid, well-constructed story, with lots of little moments that add up to a quality production. Winter is a colony on an alien world, and in the middle of a festival day, the Doctor, Steven, and Vicki soon discover the Daleks are lurking. Right from the off, the story begins to distinguish itself, with dialogue that really captures the 1965 TARDIS team as they make their way through the street festival; the way Vicki teases the Doctor feels like it came right from a television story, and is indeed quite charming. The whole thing has an air of grimness and realism that works well. This is one of those stories where clearly everything has come together: a quality script from David Barnes, excellent casting and ominous direction by Lisa Bowerman, and scene-building sound design by Toby Hrycek-Robinson. The cliffhangers to Parts One and Two, for example, are both very powerful. I mean, we know a Dalek is going to come out, it’s the done thing, but the moment is still chilling and dramatic, because of the effect it has on the character and the story. In a sense, this is a Dalek story, and it does the things Dalek stories do. But it’s also a story about complicity in fascism and atrocities. The Daleks are evil, and we expect that; the things the humans do are in their own ways worse. Events feel significant, and difficult. These aren’t the Daleks of The Chase, and I would rank this above The Dalek Invasion of Earth as well. 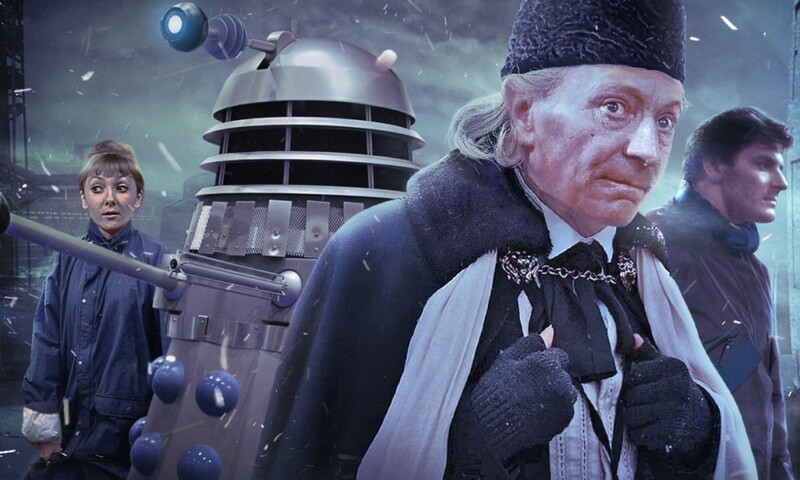 It might be the Hartnell-era Dalek story for the seriousness with which it treats the creatures, even if it’s not afraid to poke a little fun where appropriate. Purves has his triple role of Steven, Doctor, and narrator nailed by this point. I’m still against recasting on principle, but it’s hard for me to complain about what Purves does in The Companion Chronicles and The Early Adventures; it’s just the right mix of performance, impersonation, and nostalgic invocation. He’s always good as Steven, of course, and his narrator voice has a nice gravitas. O’Brien is always good, too, managing to switch between narrating and being a teenager with ease! There’s also a strong guest cast. I particularly enjoyed Robert Daws as Marshall Gaius Majorian, ruler of Winter, who seems to be an eccentric fop at first but soon reveals a dark side. Shvorne Marks as Amala and Sara Powell as Karna were also highlights. A Big Finish story doesn’t have to be flashy to be great; it can simply take a reasonably ordinary premise and execute it extraordinarily well. The Dalek Occupation of Winter is one such story, brimming with moments of charm and danger alike. A promising beginning to the fifth series of The Early Adventures. The Dalek Occupation of Winter (by David K. Barnes; starring Maureen O’Brien, Peter Purves) was released by Big Finish Productions in September 2018.